## Featured in over 450 stores worldwide! 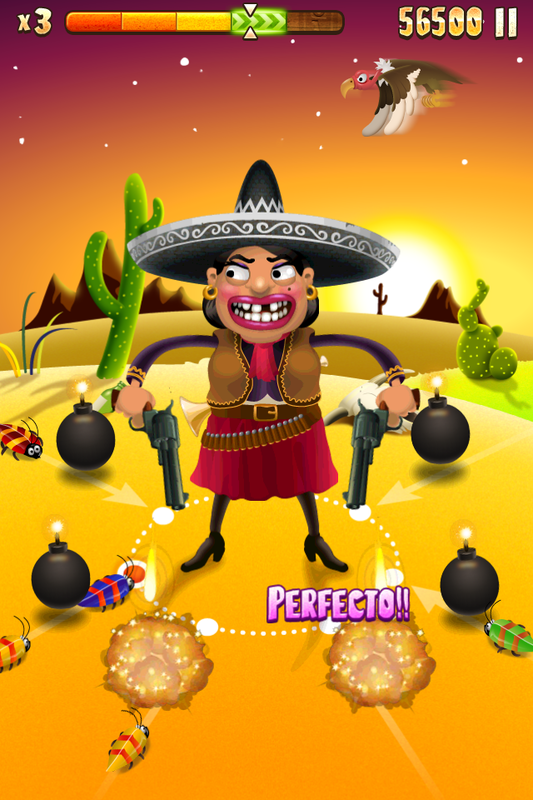 Welcome to Mariachi Hero, the game where you dance to survive! 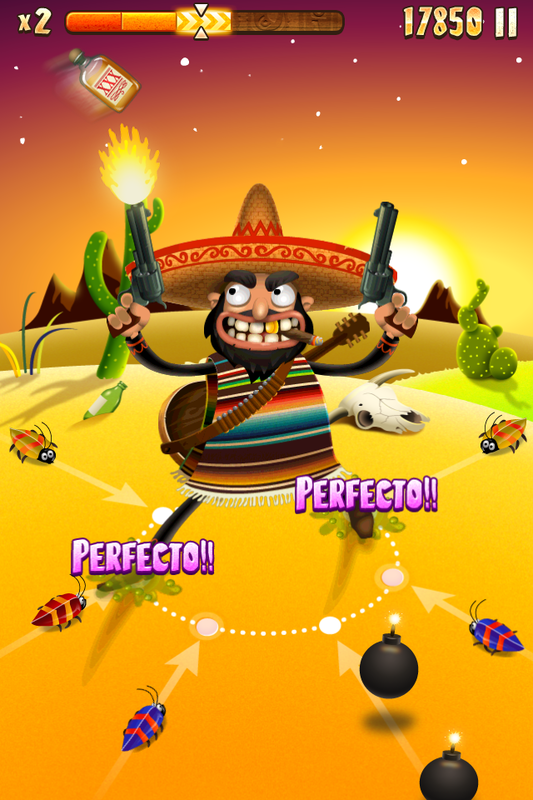 Play as El Mariachi or La Mariacha, use your sixshooters and dance skills to stay alive in this crazy rhythm game! 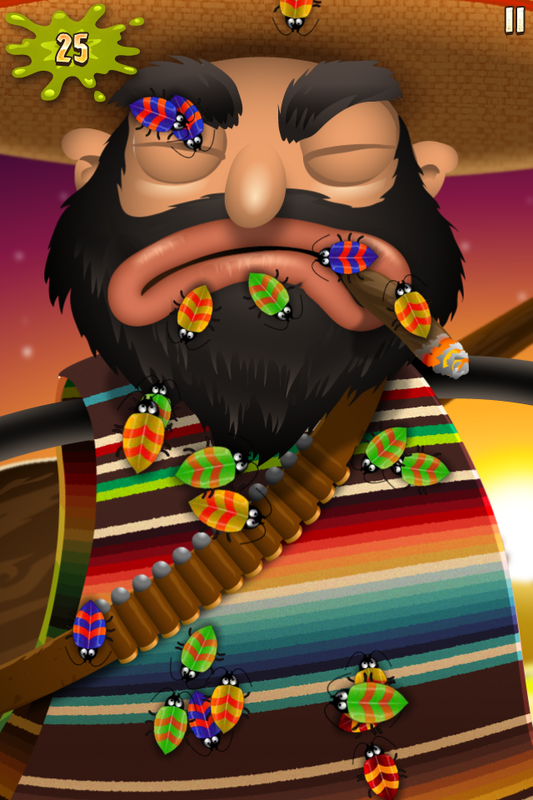 Squash bugs to the beat of beautifully recreated mariachi classics! 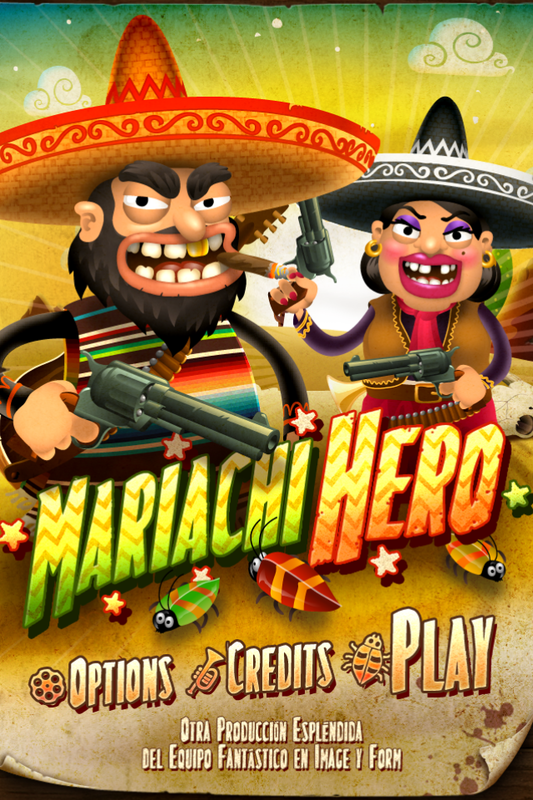 Pit your skills against thousands of other players via Game Center, or beat your friends' scores on Facebook. 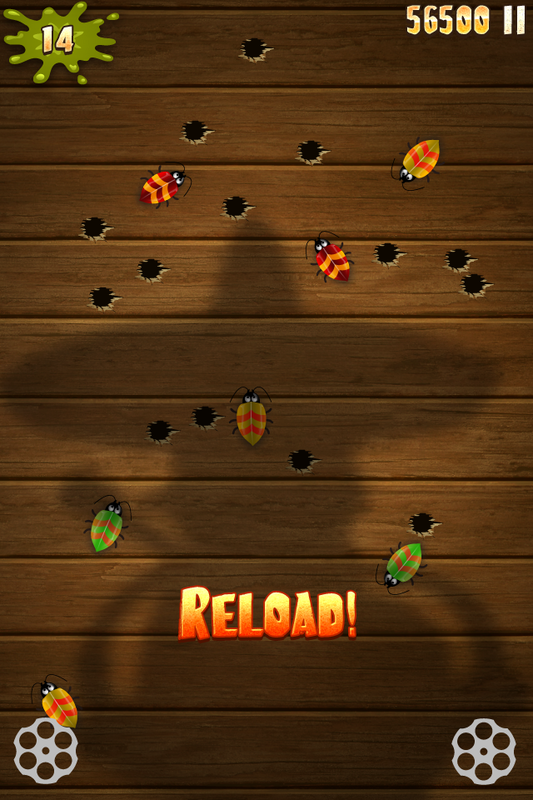 - Two bonus game levels, where you can rest your blistering feet and instead swipe away and shoot some more roaches!